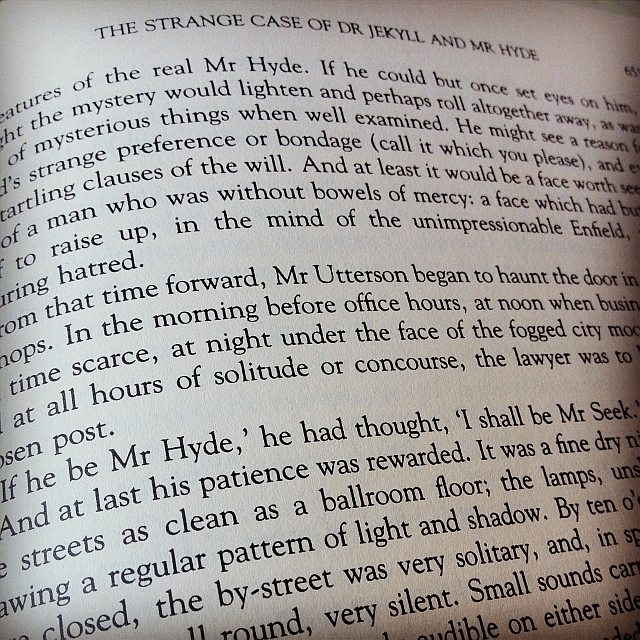 Today I finished reading The Strange Case of Dr. Jekyll and Mr. Hyde by Robert Louis Stevenson. I’ve been fascinated by the basic premise and concept of this story for years, and was surprised to find that it wasn’t quite as detailed or black and white as I’d expected–there was plenty of grey. It’s left me with much to mull over.